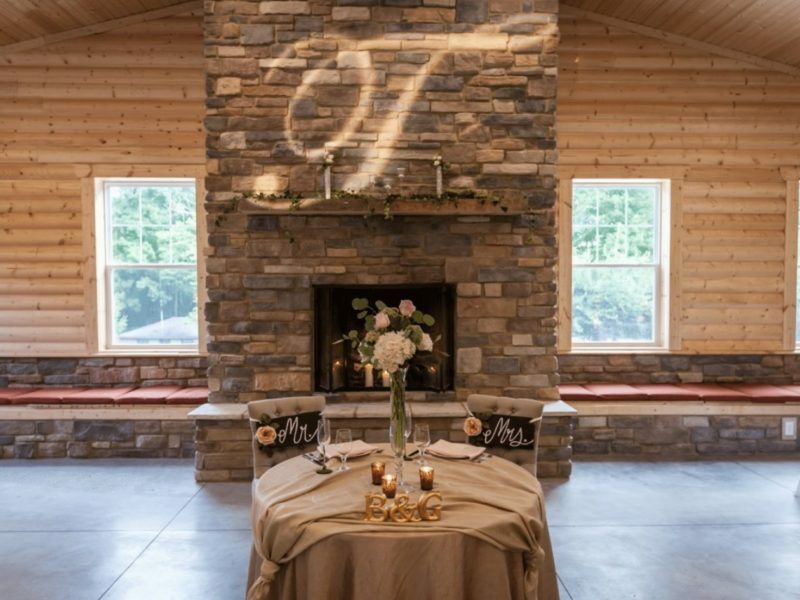 Our Grand Lodge with floor to ceiling stone fireplace and Adjoining Covered Pavilion seats 250/300 guests (tables and chairs provided at no additional cost). 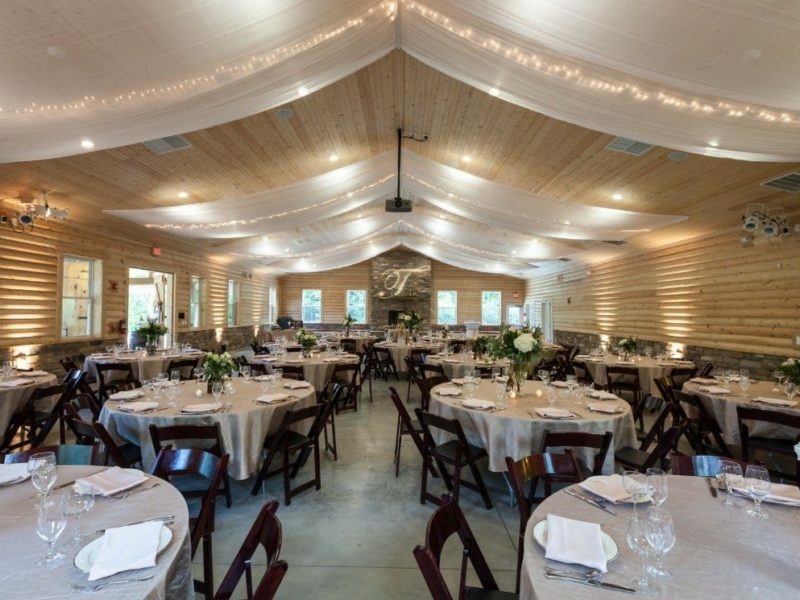 The Spacious Pavilion is perfect for hosting your cocktail hour. 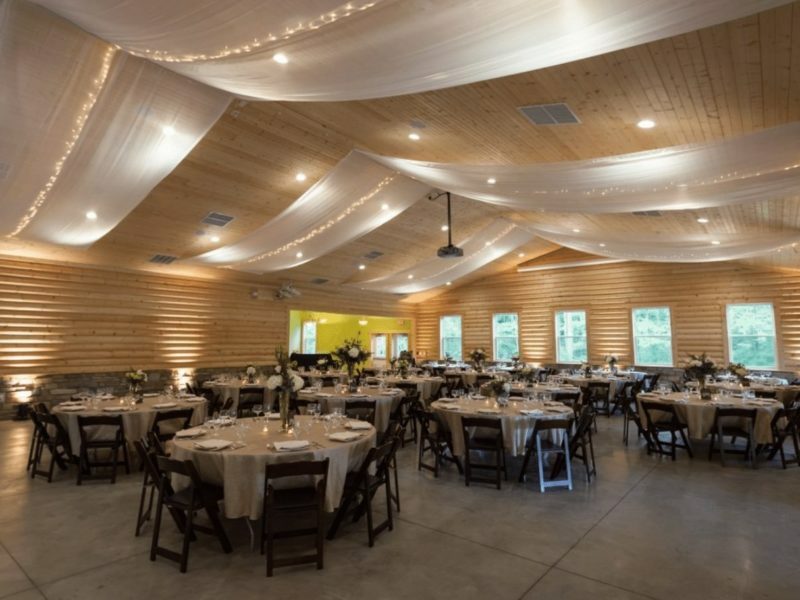 Our 3,500 square foot industrial kitchen with in-house catering and unlimited menu choices will make your reception unforgettable. Alcohol packages are available.